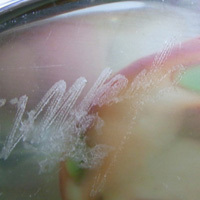 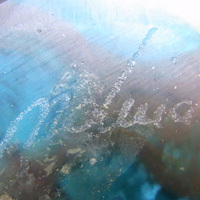 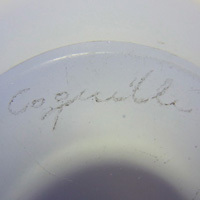 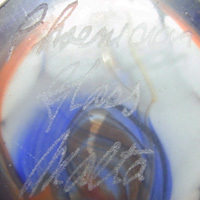 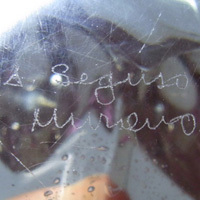 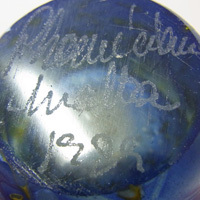 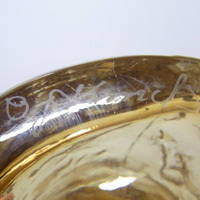 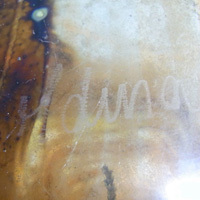 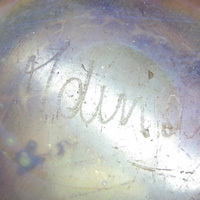 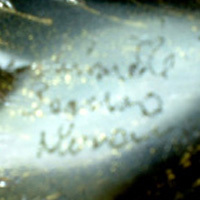 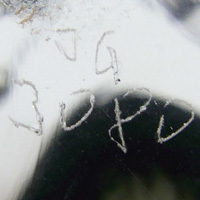 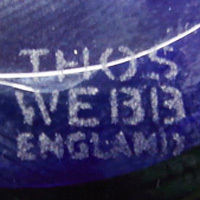 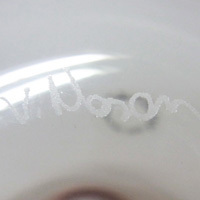 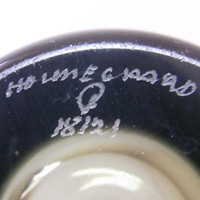 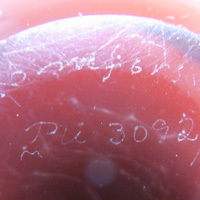 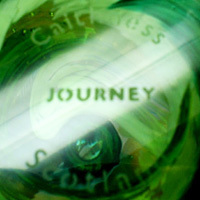 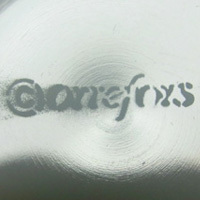 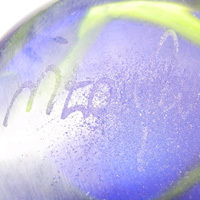 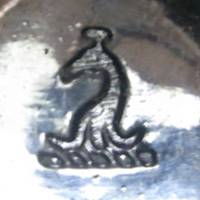 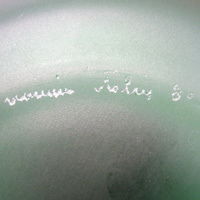 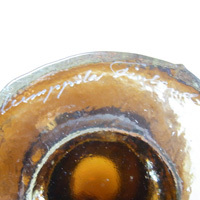 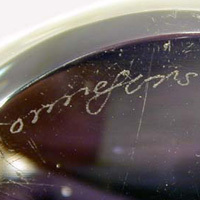 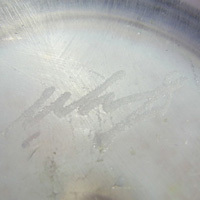 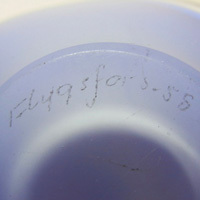 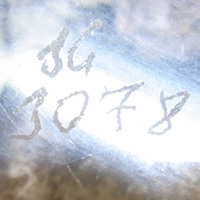 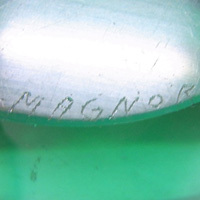 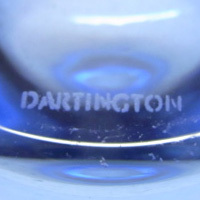 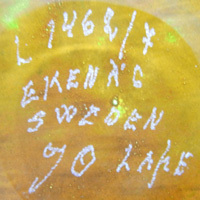 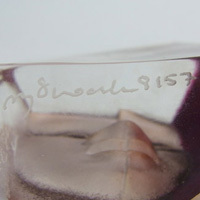 Shown below are signatures and marks found on glassware from various countries. 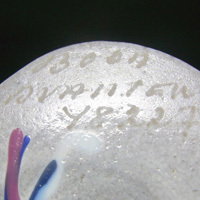 Venini Murano Made in Italy acid stamped signature. 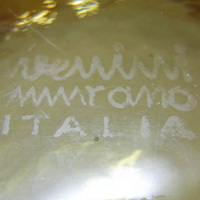 Venini Murano Italia acid stamped signature. 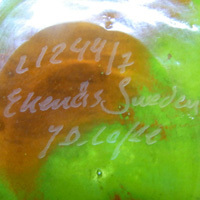 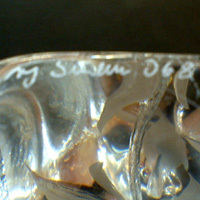 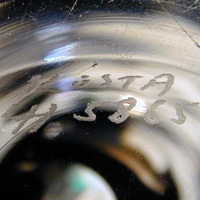 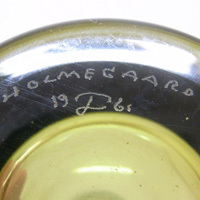 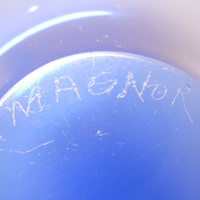 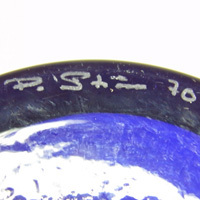 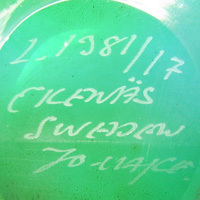 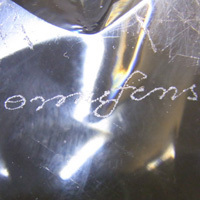 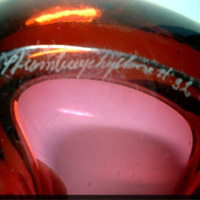 P Strom (Per-Olaf Strom) signature on Alsterfors vase. 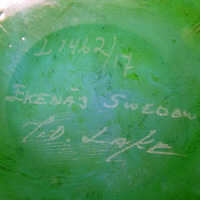 Ekenas signature by John-Orwar Lake. 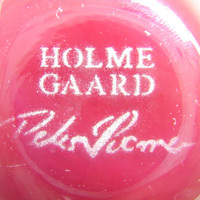 Holmegaard signature by Per Lutken. 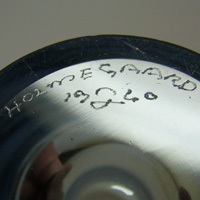 Holmegaard signature by Michael Bang. 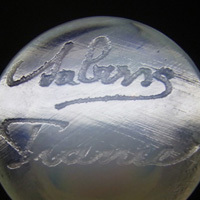 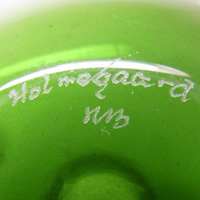 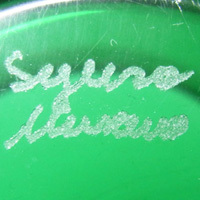 Holmegaard acid etched signature by Peter Svarrer. 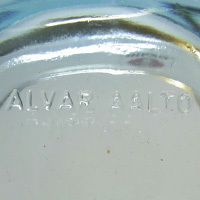 Alvar Aalto embossed mark for Iittala. 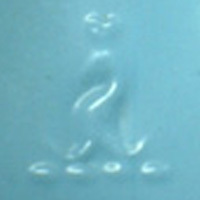 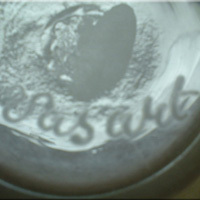 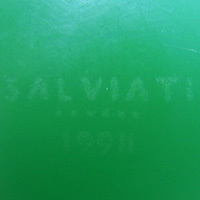 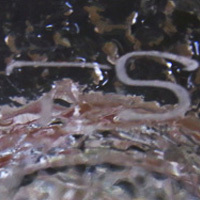 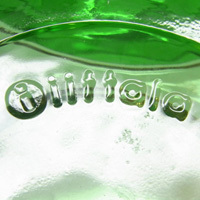 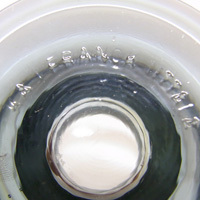 Timo Sarpaneva initials signature for Iittala. 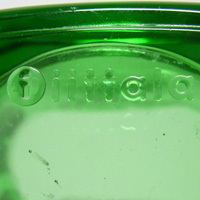 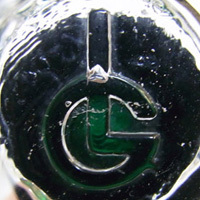 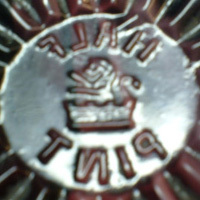 Kaj Franck embossed mark for Iittala. 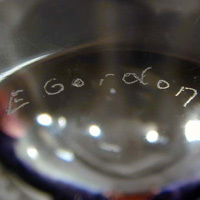 Ernest Gordon signature for Kosta. 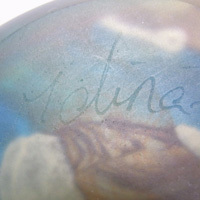 Bertil Vallien signature for Kosta. 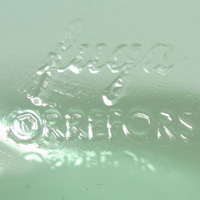 Orrefors embossed mark for "Fuga" range. 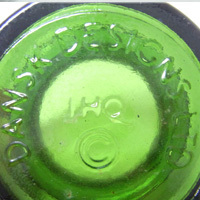 Dansk Designs Ltd embossed mark. 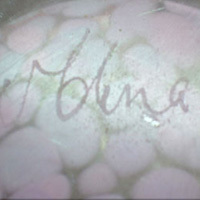 M J Sweden (Mats Jonasson) signature. 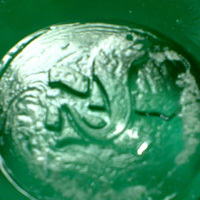 Riihimaen / Riihimaki acid mark. 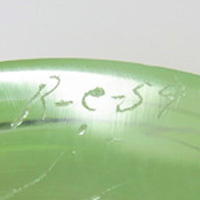 Reijmyre Initials signature by Paul Kedelv. 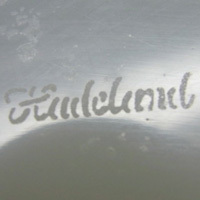 Kai Blomqvist signature (for Kumela). 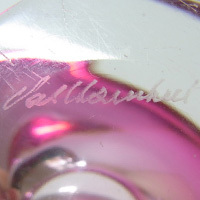 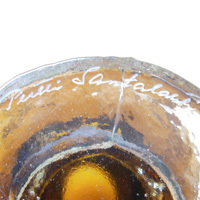 Pertti Santalahti signature (for Humppila). 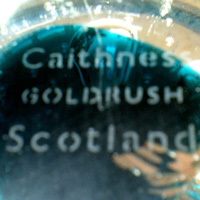 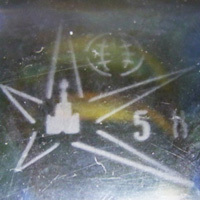 Caithness acid etched marking. 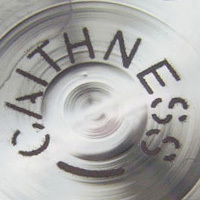 Caithness acid etched marking. 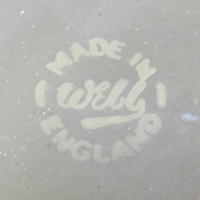 Thomas Webb acid etched marking c. 1936 - 1949. 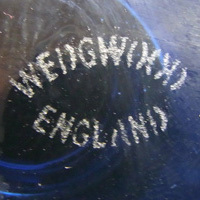 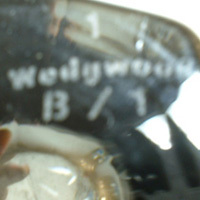 Thomas Webb acid etched marking c. 1950 - 1966. 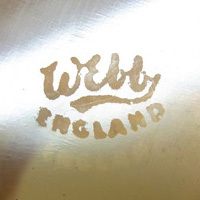 Thomas Webb acid etched marking c. 1966 - 1980. 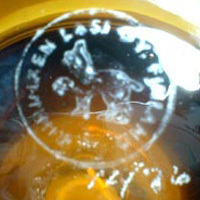 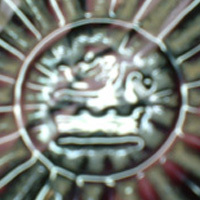 Davidson embossed lion + crown trademark. 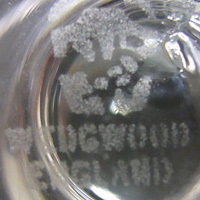 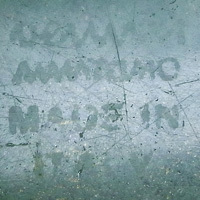 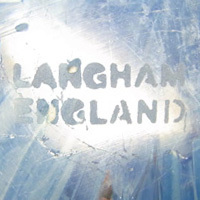 Langham acid etched marking. 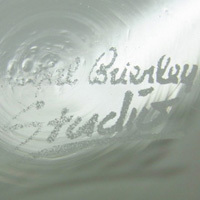 Royal Brierley acid etched marking from Studio range. 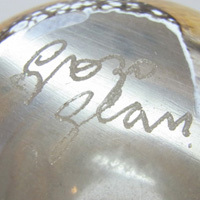 IG (Ingridglas) initials signature. 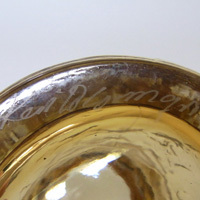 IG (Ingridglas) initials signature. 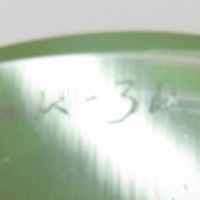 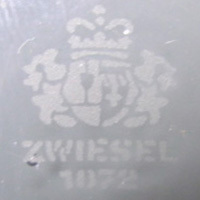 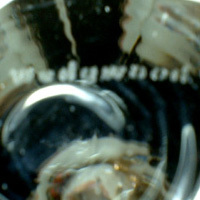 Schott Zwiesel acid etched marking. 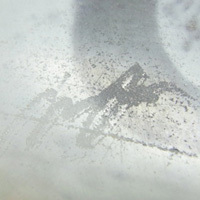 Sabino, France marking. 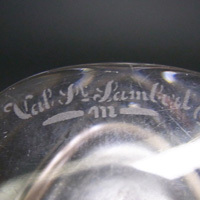 Val St Lambert marking.